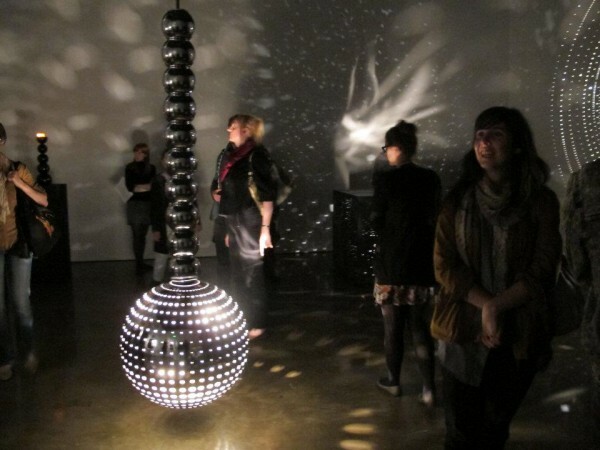 SHIFTboston blog» Blog Archive » Lichtballett: can space be shaped out of light, sound, and movement? Lichtballett (light ballet) is an inspirational and innovative light-based sculptural work that constructs space through a multisensory artistic experience. Created by Otto Piene, a pioneer at multimedia and technology-based art, whose work is often using light, smoke, fire, air, and other intangible media, Lichtballett is currently exhibited at MIT List Visual Arts Center. 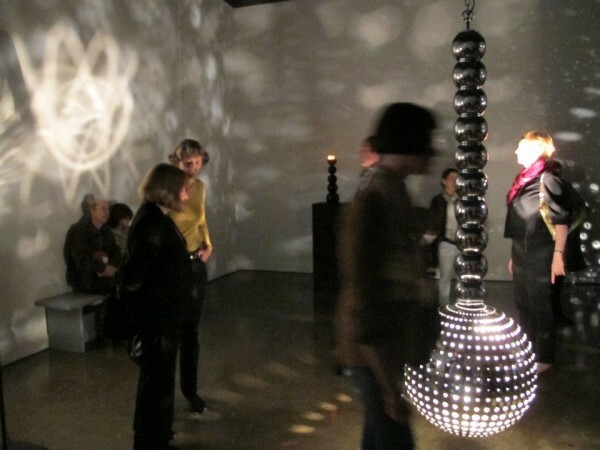 In the beginning of 2011, at The Divine Comedy exhibition, local art and architecture lovers had the opportunity to interact with Olafur Eliasson’s 55 machines that challenged our spatial perceptual habits. Initially created 50 years ago, Otto Piene’s (light) machines would seek for new, nontraditional ways of making art, as a response to what was believed to be the era of painting’s death. Re-constructed this year for MIT, astoundingly contemporary, Light Ballet suggests the possibility of an architecture, which is not made out of blocks, bricks or concrete pieces: it is constructed through the orchestration of quiet, calm sounds and soft light movements, that choreographs the ever-changing rhythms and patterns of space; it is experienced in darkness and silence through projections, reflections, illuminations, and glows that evolve and flow into energy, infinity, imagination, and memory. What are the instruments of this spatial orchestra? 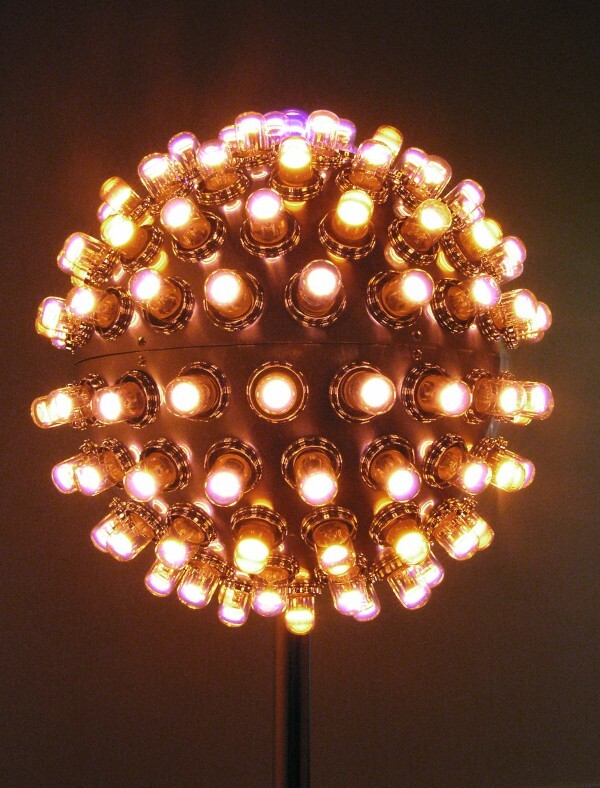 The Electric Rose (1965), a polished aluminum globe covered with neon light bulbs that emit light in four sequenced phases; the two interior lamps of Light Ballet on Wheels (1965) continuously project light through a revolving disk; the sculpture Electric Anaconda (1965), composed of seven black globes of decreasing diameter stacked in a column; the site-specific Lichtballett (2011), a wall sculpture; and One Cubic Meter of Light Black (2010–11). In Otto Piene’s own words: “the light is there and purveyed; and not I, but the light paints.” The transformative role of light in Otto Piene’s work “eliminates” the creator’s authorship and allows space to be constructed through the personal and collective experiences of the visitors. If you had already enjoyed Otto Piene’s inflatable star or “palm tree” Sky Art that was glowing during MIT FAST light anniversary celebration , make sure to experience the light ballet before next year comes! 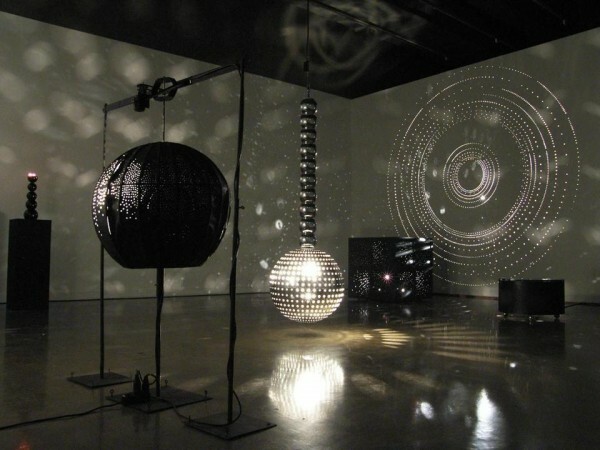 A leading figure in kinetic and technology-based art, Otto Piene was born in Bad Laasphe, Germany in 1928. After studying painting and art education at the Academy of Art in Munich and the Kunstakademie Düsseldorf, and philosophy at the University of Cologne, Piene founded the influential Group Zero in Düsseldorf with Heinz Mack and Günther Uecker in 1957. 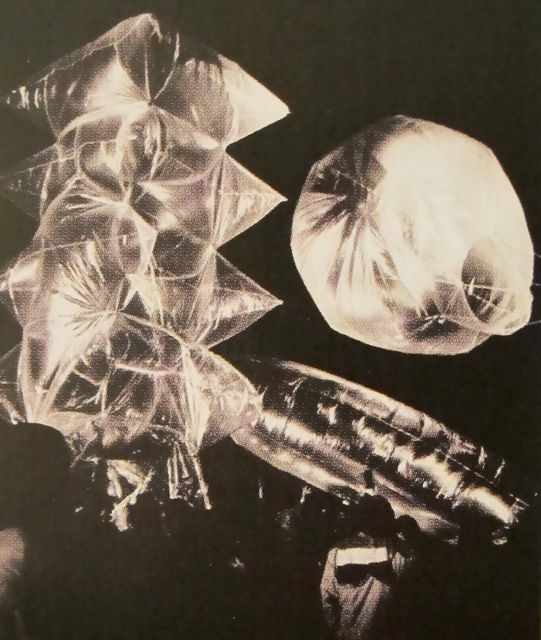 Piene was the first fellow of the MIT Center for Advanced Visual Studies (CAVS) in 1968, succeeding founder György Kepes in 1974 as its director until retiring in 1994. Piene had his first solo exhibition in 1959 at Galerie Schmela in Düsseldorf and has had numerous exhibitions and retrospectives, including at the Kunstmuseum im Ehrenhof, Düsseldorf, in 1996, and at the Prague City Gallery, Prague, in 2002. His works are included in nearly two hundred museums and public collections around the world including the Museum of Modern Art, New York; the Nationalgalerie Berlin; the Walker Art Center, Minneapolis; the National Museum of Modern Art, Tokyo; the Stedelijk Museum, Amsterdam; the Centre Georges Pompidou, Paris; and the MIT List Visual Arts Center. Piene represented Germany at the Venice Biennale in 1967 and 1971, and exhibited at documenta in Kassel, Germany, in 1959, 1964, and 1977. Piene’s Centerbeam (1977), a pioneering multimedia work created with a team of artists for documenta 6, was later exhibited on the National Mall in Washington, DC. For the closing ceremony of the 1972 Munich Olympics, Piene created Olympic Rainbow, a “sky art” piece comprised of five helium-filled tubes that flew over the stadium. 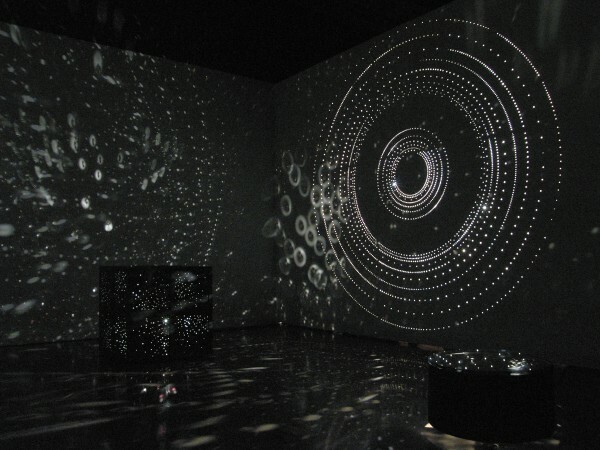 Piene received the Sculpture Prize of the American Academy of Arts and Letters in 1996. He lives and works in Groton, Massachusetts, and Düsseldorf, Germany. Thanks for sharing this information its useful to me please keep sharing more……….